To help OEMs to meet the stringent regulatory and quality demands affecting the food equipment industry, Victrex is introducing a dedicated PEEK food grade portfolio. As communicated by the company, compared to metals, the new “Victrex FG” family of high-performing thermoplastics offers additional benefits in terms of cost-effectiveness, productivity and performance for OEMs, and the neutral taste expected by consumers. 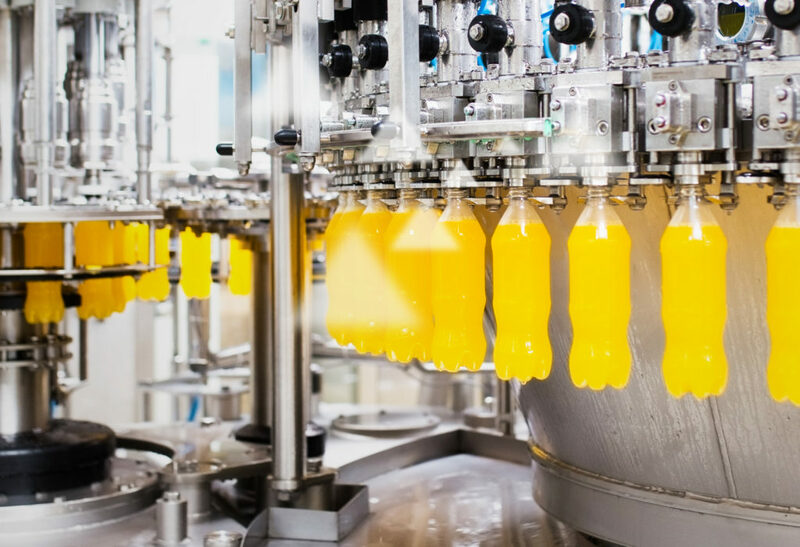 “Food and beverage manufacturing equipment companies are facing numerous requirements for health, safety and hygiene established by regulatory authorities, the industry and consumers – Victrex explains -. In addition, with the adoption of Industry 4.0 technology, Victrex PEEK can offer food and beverage manufacturers the opportunity to optimise efficiency and reduce production costs, when compared to the use of metals”. In the following paragraphs, the company shows the advantages and the pluses of the Victrex PEEK food grade portfolio. In the short term, component cost can be influenced by part manufacturing costs. Metal components, for example, may require costly multi-step machining to manufacture. Selection of alternative materials or scalable manufacturing processes, such as injection moulding can reduce component cost, at volume. In the longer term, the total cost of ownership for parts can be reduced by the selection of more optimal materials such as high-performance polymers and/or designs that prolong component lifetime and cut costs in downtime or loss in product quality. Currently, components of machines used in the food production industry require regular maintenance, for example, this may be due to metal components being susceptible to corrosion. Such corrosion can create local environments that harbour contamination; stainless steel in salty environments at temperatures above 60°C for example. In addition, exposure of components to extreme temperatures and chemicals can result in deterioration and damage; contamination could also result from lubricants necessary for moving parts. “To protect the consumer and implement social and environmental standards, the regulatory landscape for materials used in food, drink and potable water is becoming increasingly complex. Updated, more stringent requirements in combination with demands for improved taste experiences, longer shelf life, clean labels, product differentiation and consumer safety add further challenges, which the Victrex PEEK food grade portfolio can help to address”, says Steve Dougherty, Director Manufacturing & Engineering at Victrex. Victrex is able to provide certain PAEK* products that have passed the relevant EU10/2011 testing requirements. This potentially cuts out cost in domestic or commercial appliances and contributes to improved productivity/yields for industrial installations. The cost of compliance is usually significant. The addition of new materials approval under U.S. Food and Drug Administration (FDA) and European Food Safety Authority (EFSA) can often exceed £100,000 each and take well in excess of a year in some cases. This does not include the in-house application testing and validation in a given application, or indeed the food contact approval of the device. Some de-risking of those costs is available where the material supplier has already certified their materials with the NSF International. Pre-approved materials can deliver cost savings in the region of £10,000 and time savings of approximately 12 weeks. *PEEK (Polyetheretherketones) such as Victrex PEEK are a member of the PAEK (Polyaryletherketone), family of high-performance thermoplastics. The food industry is using Victrex PEEK solutions for some time in applications that range from cookware and beverage dispensers for commercial and domestic use to industrial applications involving food contact components in conveyor systems, aseptic processing, sensors, gears and nozzles. The company´s in-depth knowledge of PEEK is built on nearly 40 years of experience with this high-performance polymer and from partnering within the industry to help meet its needs.